A government source summed up the feeling in London by saying it was "not impressed". Prime Minister Theresa May urged the European Union on Friday to make "just one more push" to break the Brexit deadlock but proposals from the bloc's chief negotiator fell short of anything that would win over the British parliament. But that dispute looked far from being resolved after EU chief negotiator Michel Barnier's proposals were dismissed as a return to "old ideas" already rejected in talks. 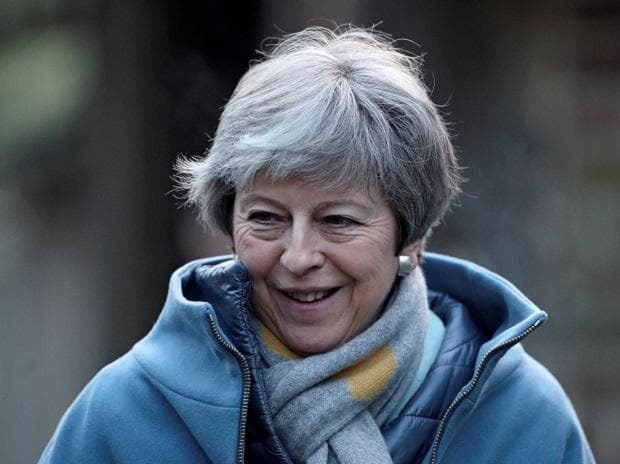 With no changes to offer parliament, May looks set to lose her second attempt on Tuesday to get lawmakers' approval of her deal and smooth Britain's exit from the EU, the country's biggest shift in trade and foreign policy in more than 40 years. In a last-ditch appeal to the EU and to lawmakers at home, May said in a speech on Friday it was time to end the uncertainty over Brexit by approving the deal. Otherwise, Britain faced a "moment of crisis". The Brexit effort "needs just one more push to address the final, specific concerns of our parliament," she said in the northern English port of Grimsby, where 70 percent voted to leave the EU in the 2016 referendum. "So let's not hold back. Let's do what is necessary for MPs (members of parliament) to back the deal on Tuesday." But he said London would need to honour its commitment to keep the Irish border free of controls, potentially leaving Northern Ireland subject to EU rules, with a "border" in the Irish Sea between Northern Ireland and the island of Britain. That requirement has been rejected previously by London and would be particularly unpalatable to Northern Ireland's Democratic Unionist Party, which props up May's government in parliament and opposes any proposals for Northern Ireland to have different rules from the rest of the United Kingdom. Stephen Barclay, Britain's Brexit minister, said it was "not the time to rerun old arguments. The UK has put forward clear new proposals. We now need to agree a balanced solution that can work for both sides". The DUP was equally unimpressed, with Nigel Dodds, its deputy leader, calling the proposal "neither realistic nor sensible". Britons voted 52-48 percent in 2016 to leave the EU and the country remains deeply polarised over the move. Jeremy Corbyn, leader of the main opposition Labour Party, said the appeal was "more like a sign of desperation". "These are very serious times. We don't need any more delays and dithering by the government," he told Sky News. "They've got to recognise her deal isn't going to work, it doesn't get support, and will not get through parliament." That frustration was matched on the EU side. Irish Prime Minister Leo Varadkar said the British, not the EU, had to compromise, and the decision to leave the bloc had been "a problem of their own creation". One EU diplomat said May was preparing the ground for "a blame game" if she loses the vote on Tuesday. In a last-minute flurry of diplomatic activity, May was due to speak to EU leaders by telephone over the weekend and a European Commission spokesman said "intensive work" was going on between London and Brussels. And foreign minister Jeremy Hunt held out some hope that a deal was "entirely possible" in time for the vote.